Happy New Year – LEAP Forward! Upon us again is another New Year to observe, to grow, to set new plans and to move forward in already established ones. I am always excited when new anything rolls around. This just happens to be one that I not only welcome but I wanted to share the origin of it with you. Come! let’s LEAP into a lesson, see what you gain and carry on…..2016 All aboard!!! As you may well know, Julius Caesar introduced Leap-Year in the Roman Empire over 2000 years ago, but the Julian calendar had only one rule: any year evenly divisible by 4 would be a Leap-Year. This led to way too many Leap-Years, but didn’t get corrected until the introduction of the Gregorian calendar (followed by Western society) more than 1500 years later. Leap-Year is a time that comes every four years in order to keep the Gregorian calendar year in sync with the seasonal or astronomical year, adding a 29th day to February (a Leap Day). o St. Patrick allowed women to propose to their boyfriends. o The chances of a leap birthday are one in 1,461.
o The longest time between two Leap-Year is eight years, it won’t happen again until 2096 to 2104.
o The Henriksen family of Norway, holds the world’s record for giving birth to the most children on consecutive Leap Days, a daughter on Feb. 29, 1960 and two sons on Leap Day in 1964 and 1968. Unlike Western society, Jews, Muslims and the Chinese all follow a lunar calendar (also 12 months), with each month measured by the waxing and waning of the moon. According to the current calendar, a Jewish Leap-Year occurs seven times within every 19 years. 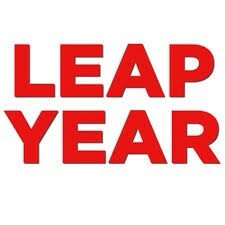 This year, 5774 on the Jewish calendar is Leap-Year. The Jewish YEAR – AM 5776- already in full swing began the eve of Sept. 13, 2015 and runs through Oct. 2, 2016. 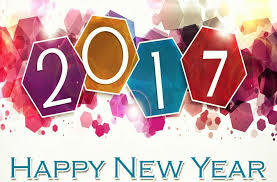 A year with 13 months is referred to in Hebrew as a Pregnant Year or Shanah Me’uberet – a happy year. In English, we commonly call it a Leap-Year. With an additional month of Adar added, the idea is that there are now two months (Adar Rishon and Adar I) to increase our joy, and never decrease. How does one increase their joy? By purposefully setting aside time for joyous activities and/or celebrations but furthermore with those who bring them joy. Whether it is personal time or family time, my prayer for you in this season is that you establish a day, a week or a month, in which you take full advantage of all opportunities to increase your joy – never decreasing. In hopes that that time will prepare you, empower you and bring you wisdom for your Journey forward. 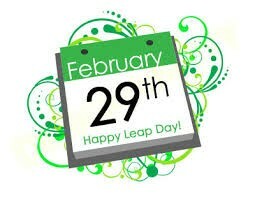 Happy New Leap Year – LEAP Forward! May Peace and Joy fill your hearts and homes this HOLIDAY SEASON!